By Newcastle University SLT Society; Fran Baxter, Emily Erceylan, Hannah Asbridge, Hannah stead, Ellice wood, Michelle Hamill, Emma Higgins and Anastasia Trebacz. People still have little awareness of speech, language and communication needs in our society. Speech and language therapists work with those experiencing difficulties such as stammering, developmental language disorder, language difficulties such as aphasia after stroke and autistic spectrum disorders. This requires more attention from the public and policy makers. 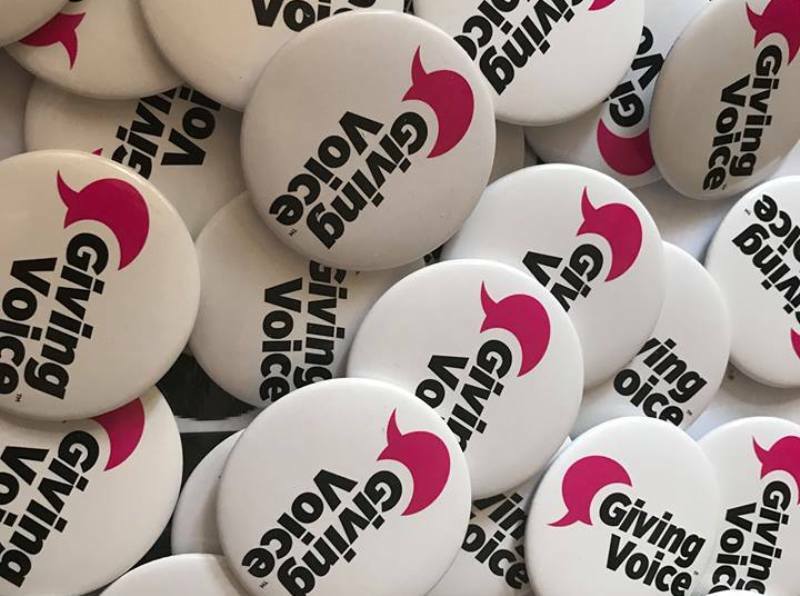 Campaigns like Giving Voice are dedicated to demonstrating how speech and language therapists make a difference. The Royal college of speech and language therapists explain more on their brand-new website here. Speech and language therapists work tirelessly to support people’s communication, across the ages, using picture exchange systems, British Sign Language, Makaton, communication aids and more. We also support people to eat and drink if they have swallowing difficulties (also known as dysphagia) caused by injury to the part of the brain responsible for the swallowing mechanism. This often happens in combination with speech, language and communication difficulties, for example through brain injury or stroke. A charity gig on Monday 21st January at Northern Stage aims to showcase sparkling local talent and demonstrate how speech and language therapists unlock language and communication – headlined by none other than local lad and Percy Hedley alum Lee Ridley AKA Lost Voice Guy. What’s more, the performance is organised by the student-led Speech and Language Therapy Society at Newcastle University who are passionate about speech and language therapy. So much so they want to donate all money raised from ticket sales to both The Percy Hedley Foundation and Access & Inclusion performances at Northern Stage. Speech and Language Therapy gets little attention on TV, in major motion pictures and literature. The release of The King’s Speech in 2010 portraying King George VI’s struggle with a stammer, gave the public an insight into the vital input of a speech and language therapist. However, the profession engages in so many different areas of society, many of which people are entirely unaware of! Examples of creative expression, hit people’s emotions harder than statistics or reports. In the lead up to the gig, here’s six recommendations in arts and culture that cast the spotlight on speech, language and communication needs. A stroke alters 34 year old Lotje Sodderland’s life immeasurably. Lotje, an amateur filmmaker, artfully documents the changes she experiences and her slow but steady recovery. The film depicts her struggle with changes to her language such as struggling to find words and changes to her thinking and her vision – all common effects of stroke. This is a painfully honest, emotive description of how stroke can alter your life and communication and the long, difficult journey of language rehabilitation. This novel is not only totally gripping and a brilliant read, but it gives an incredible insight into the perspective of a person with Autistic Spectrum Disorder (ASD). The story explores the challenges faced by an individual with ASD as he tries to connect with and make sense of the world around him. The book is brilliantly written and highlights how an inability to communicate effectively can have tragic consequences. Scroobius Pip is a multi-talented performer who has channelled his talent through several different medias including music, podcasting and acting. He is by origin a spoken word artist and rapper who has produced several albums, toured internationally and started his own record label Speech Development Records. Scroobius Pip supported the British Stammering Association on BBC Lifeline appeal by sharing his story of speech and language therapy. He has had a stammer since childhood and speaks openly about his experience of being a performer who stammers, but this certainly doesn’t appear to be stopping him! Scroobius Pip talks about how his stammer made him more creative in his latest BBC Ouch Podcast here. The one-off BBC drama, Care, showcased the real struggles families face when a relative suffers from a stroke. The inability for the patient to communicate with her family, known as aphasia, shows how vital communication is to harmonious relationships. The devastating consequences on the patient’s well-being makes it hard-hitting and raw. This beautifully highlights the complexity of the human brain and the devastating impact stroke can have on the patient and their loved ones. The communication barrier is significant but the daughters are determined to seek the best support for their mother. Lee Ridley AKA Lost Voice Guy is a comedian from the North East who has become a household name after winning Britain’s Got Talent this year. He performs using a Communication Aid and captures his audience by talking openly about his disability with a great sense of humour. The Speech and Language Therapy Society are THRILLED to have arranged a gig with Lee as well as other local comedy talents on the 21st January 2019 at Northern Stage. Communication Focus: the whole Speech and Language Therapy role (even swallowing!). Speech and Language Therapist, Stephanie Burgess, writes poetry about the many different client groups and disorders people can have for which SLTs provide significant support! She emphasises the importance of everything we do when providing care for our patients and some difficulties our patients face daily. And, although Stephanie works in supporting people with a stammer, her poem still manages to include almost EVERYTHING that her colleagues do in their SLT roles. Her poem even managed to cover swallowing disorders, AKA dysphagia, which many people would never associate with our Allied-Healthcare Profession! The list of our roles really is almost endless… however, Stephanie’s poem is a fun read, yet covers important bases and provides a strong message to all readers. The full poem and its responses can be found on this link here. Lost Voice Guy performs at Northern Stage, Newcastle Monday 21st January.